Many versions of the Bubble Ponytail have been showcased on hair around the world. The eclectic hairstyle never falls from fashion. A super simple bubble ponytail can be worn for any hair event from daytime to evening and during any season of the year. 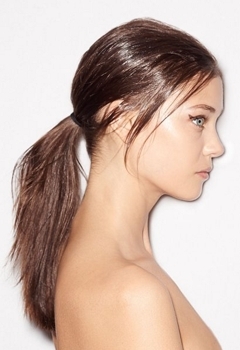 Even better, creating a super simple bubble ponytail is a snap. The bubble ponytail can be customized for every type and texture of hair. When it comes to creating bubble ponytails, the only limit is your imagination and the amount of hair you have to work with. 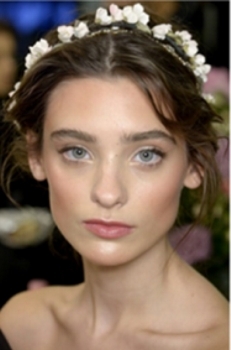 Bubble ponytails can even be created on any length of hair with a little creative styling. They can also be created on hair extended with fusion or clip-in strands. 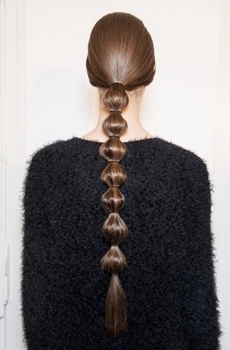 Redken Creative Consultant Guido created a playful Bubble Pony look for Valentino’s Fall/Winter 2014 show, which lent itself to the eccentric fashion designs of the season. 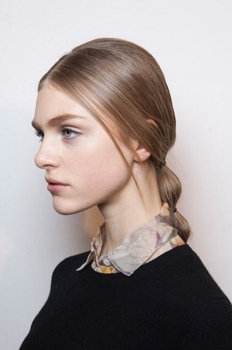 Unlike a classic chignon or the austere low ponytail from previous seasons, the hair at Valentino was fun and added lightness to the collection as a whole. 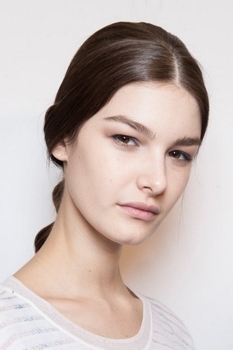 Follow the steps below to create a super simple bubble ponytail. What of the best features of the Super Simple Bubble Ponytail is that you can mix it up to create your own customized hairstyle. There is no right or wrong way to create a bubble pony. Whip up a pony which works for you, your lifestyle, the event you’re attending and your budget. Have fun and sit back and enjoy the compliments. This entry was posted on Monday, November 3rd, 2014 at 4:50 am	and is filed under Hair. You can follow any responses to this entry through the RSS 2.0 feed. Both comments and pings are currently closed.